Check out a clip from the upcoming Pixar short film. Disney has released a sneak peek clip from Auntie Edna. 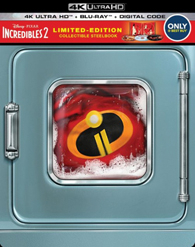 The animated short will be included on the upcoming 4K Ultra HD Blu-ray and Blu-ray releases of Incredibles 2 on November 6, along with the Digital HD and Ultra HD releases on October 23. 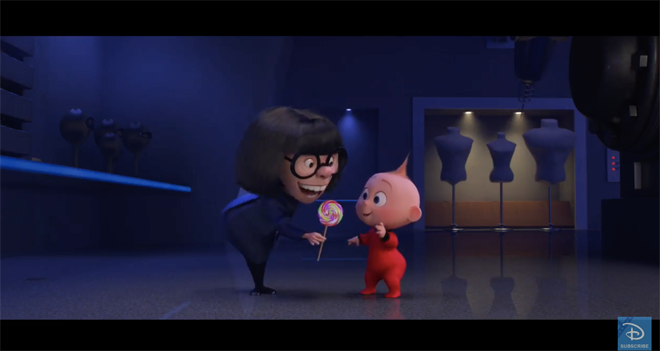 When Bob Parr visits Edna Mode looking for help with his high-energy toddler, Edna designs a dynamic suit to fit his seemingly limitless powers. Check out the sneak peek clip below! 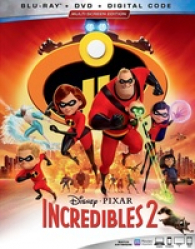 In Incredibles 2, Helen (voice of Holly Hunter) is called on to lead a campaign to bring Supers back, while Bob (voice of Craig T. Nelson) navigates the day-to-day heroics of "normal" life at home with Violet (voice of Sarah Vowell), Dash (voice of Huck Milner) and baby Jack-Jack—whose superpowers are about to be discovered. Their mission is derailed, however, when a new villain emerges with a brilliant and dangerous plot that threatens everything. But the Parrs don’t shy away from a challenge, especially with Frozone (voice of Samuel L. Jackson) by their side. That’s what makes this family so Incredible. 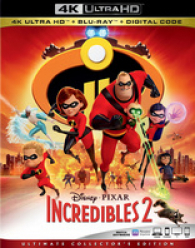 You can find the latest specs for Incredibles 2 linked from our Blu-ray and 4K Release Schedules, where it is indexed under November 6.